Deliciously Elegant RAW Vegan Valentine’s Dinner and Class with Haley! Please join Haley, of Living Raw By Grace, for a magnificent and drool-worthy Deliciously Elegant RAW Valentine’s Dinner and Class that will stimulate your palate and wake up your taste buds to the amazing flavors of Nature! We will begin with a deliciously-warm Cheese fondue and Crudites. Our Main course will be an incredibly-delectable Pasta Marinara with Neatballs. Our desserts will consist of a warm and gooey Chocolate fondue with berries and a rich Cherry topped Cheesecake. Not only will you enjoy a full meal, but Haley will demonstrate both fondues and the Pasta Marinara! Walk away with all the recipes, a full belly, and a smile on your face from the fun evening! Experience the taste of joy across your tongue with every bite! This dinner includes food and is just $30 to attend. Reserve your spot now to savor the flavor at this succulent event! More About Living Raw By Grace Are you interested in learning how to lose weight permanently, how to cure chronic diseases, and how to feel and look your best? Living Raw By Grace holds classes and will coach you one-on-one to equip you with recipes that are healthy, simple, and inexpensive! Learn more about raw foods and their healing properties as we come together to make delicious, yet incredibly-simple dishes. Go to a class and ask all the questions you can possibly think; download a video that demonstrates simple recipes, browse through one of LRBG’s UnCookBooks; book a party in your own home and bring health and hope to your family and friends; or just email your questions, and be inspired to a healthier you! 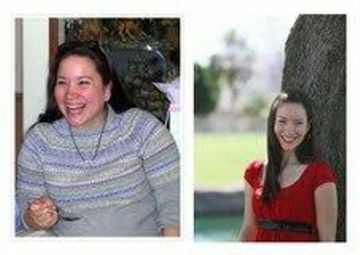 See for yourself the Amazing Power of RAW Food with these Before-and-After Photos of Haley of Living Raw By Grace!